Our most popular saddle! Wonderful gel seat fits a woman's pelvic bones. 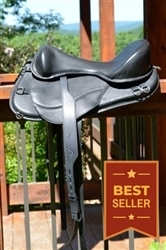 Puts you in a balanced position - and keeps you in the saddle for many hours of riding. You'll love the comfort and security of it. 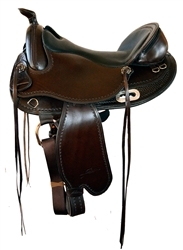 The Classic BTF is an awesome saddle for the rider on a budget. This saddle take the advantages of the Freeform Classic, but instead of the Italian Full-Grain Calfskin Leather it's comes in your choice of color in Italian Suede and Leather-Tex.